Raise the hooks to use. 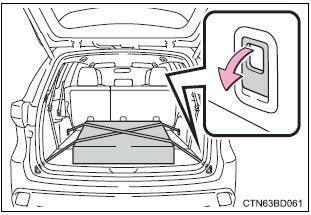 Cargo hooks are provided for securing loose items. 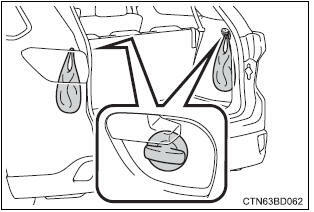 Do not hang any object heavier than 6.6 Lb. (3 Kg) on the grocery bag hooks. Pull the strap upwards to open the center deck board. 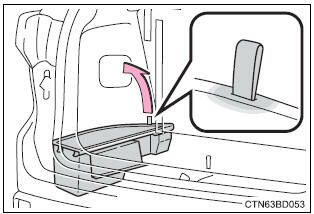 To secure the center deck board, remove the hook on the backside of the center deck board and attach the hook to the head restraint on the third seats as shown. 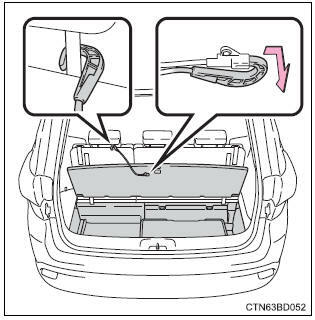 Pull the strap upwards to open the side deck board. 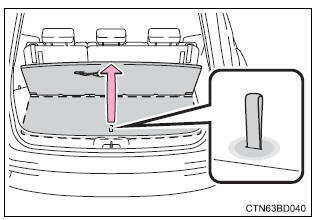 Do not drive with any of the deck boards opened. Items may fall out and cause injury.